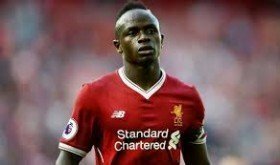 Real Madrid handed boost in Mane pursuit? Real Madrid are said to be contemplating a potential move for Sadio Mane in the summer with Liverpool likely to consider offers in excess of £130m for the Senegal international. The 27-year-old attacker has enjoyed another top season with the Merseyside giants and he has contributed 21 goals from 41 appearances in the Premier League and Europe. According to El Confidencial, Los Blancos boss Zinedine Zidane has earmarked the 27-year-old as a possible transfer target for the summer, should the club fail in the pursuit of Chelsea's Eden Hazard. The same publication suggests the Reds are not actively looking to part ways with the former Southampton man but a fee in excess of £130m could tempt them into a summer sale. Mane recently scored the opening goal for the Reds during the 2-0 league triumph over Chelsea at Anfield. The victory has propelled the club to the top of the table with a two-point advantage over Manchester City, though the latter have a game in hand.